Classic real-estate markets are saturated to the point when only large investors can benefit from speculation, Xaurum Gamma opens the real-estate business to the small investors and makes it possible to participate with small capital investments. Using blockchain and Xaurum economic mechanisms, the holders of Gamma will participate in the real-estate venture, that increases the valuation with the completion of construction alone and further increases it by expanding the construction of new objects. Blockchain implementation also decreases the liquidity risk, by providing the user with the option of selling only parts of the holdings that avoid the loss of value that usually occurs when attempting fast liquidation of real-estate, and therefore enables the user to preserve the majority of investment value. 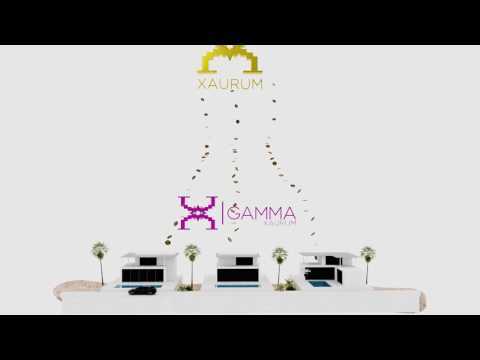 Xaurum Gamma also alleviates the problems of location, by including the investors from all over the world in the projects built in EU and USA, usually reserved for large corpora tions. Last, but not least, the Gamma project enables a greater degree of transparency by using the blockchain to present all economic activity in real-time on the platform, which is very useful for exactly these kinds of projects, that require full transparency of the business to investors, regardless of the quantity of investment.